After 2 years of product development and positive user feedback, Win-Win is now ready for primetime! Charitable fundraising is ripe for innovation, and Win-Win is leading the effort by improving the giving process for donors. 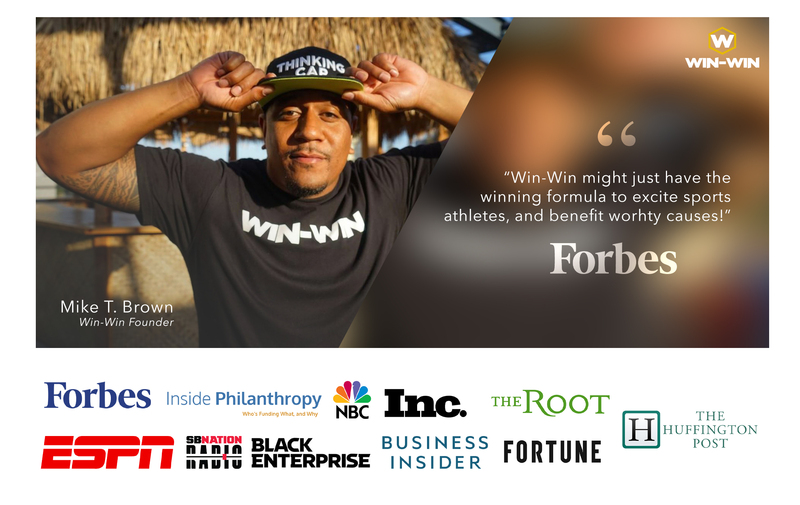 By investing in Win-Win, you’ll enable us to capitalize on our validated product-market fit -- bringing Win-Win to the masses by scaling operations and leveraging our growing network of iconic athlete partners. With your support, we can drastically improve charitable giving--increasing efficiency and value exchange, so anybody can positively impact the world! Why? Charitable giving methods are stuck in the past. Influencers have a unique ability to engage donors and raise awareness for charitable causes. For example, NFL superstar J.J. Watt led a fundraising effort across social media to support flood victims that resulted in $38M raised within two weeks. Over 35% of Americans said they engaged with a cause because of an influencer’s recommendation. Of that 35%, over 50% shared awareness about the cause and made a financial donation. Yet there’s no one efficient platform to connect influencers with charitable causes, and to engage donors through influencer campaigns. Existing platforms feature outdated models that result in declining donor participation. Charitable giving by individuals: $289B. 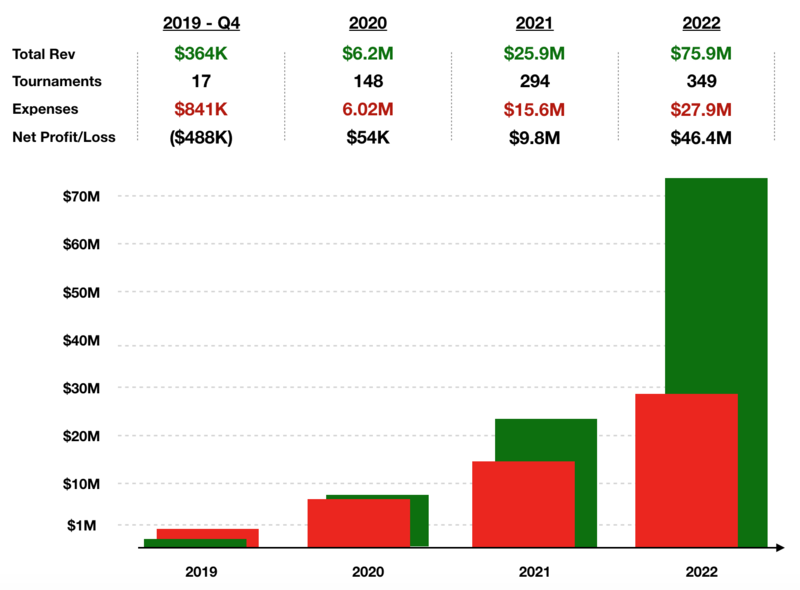 Total addressable market: Giving online via raffles, auctions, or crowdfunding: $23B. Digital Marketing Total Spend: $266B. Total addressable market: Influencer marketing, is predicted to be a $10B market by 2020. As we scale our influencer campaigns and user base, we will begin tapping into this market by offering customized sponsorships to capture the dedicated Ad spend from brands. Enables pro athletes to now activate their entire fanbase in support of a charitable cause, instead of just a handful of wealthy donors. Competitive gaming tournaments make the experience fun and ensures extended, repeated engagement. 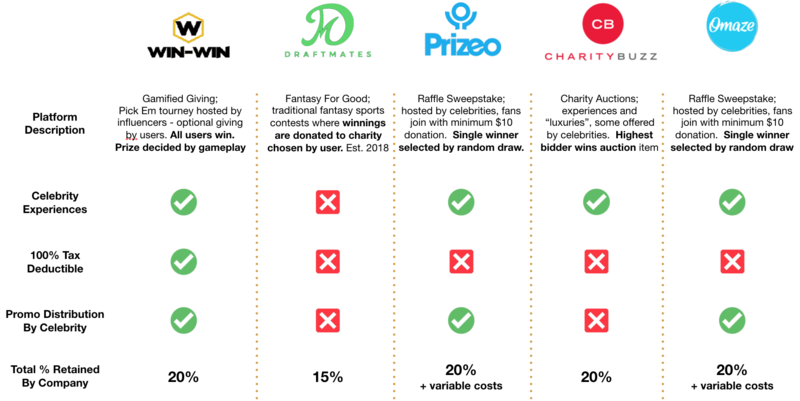 Win-Win’s unique model properly incentivizes participation--EVERY fan who enters a tournament wins a prize, from first place to last place, regardless of how much they donate. This ensures higher user acquisition and retention -- fans are more inclined to engage knowing they’ll win! 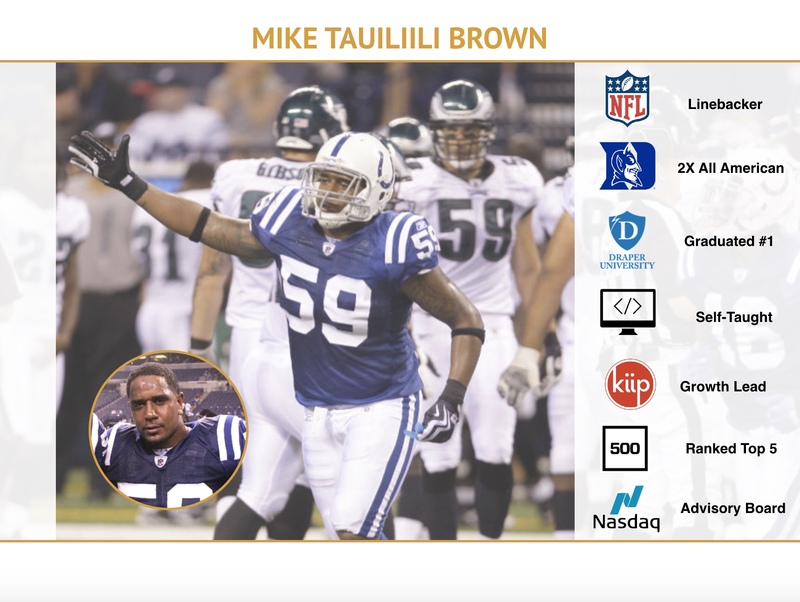 Because Win-Win helps pro athletes activate their fanbase more efficiently, in support of causes they care deeply about, the pro athletes promote Win-Win campaigns without being paid their normal influencer campaign fees. To continue scaling its partnership network, Win-Win has established relationships within several large sports and talent agencies, including Wasserman Media Group and CAA Sports. We’ve dedicated 24 months of intense focus on running live test campaigns and making data-driven iterations to improve conversion throughout the user journey. During our beta campaigns, we reached over 1M social media engagements (likes, comments, views) on live partner campaigns. We’ve doubled the industry standard click through rate (CTR) for organic posts, seeing an average CTR of 1.44% across our latest campaigns. Today, nearly 5% of people who click an athlete’s promotional link on social media fully convert into paid Win-Win users. The industry average for social media Full Funnel Conversion is 1.2%. Our platform truly benefits all parties involved, enabling each to simultaneously deliver and extract desired value. Win-Win implements a unique structure, partnering with Win-Win Foundation to offer donors the maximum tax deduction allowed by law. 20% of all funds is paid to Win-Win App Inc (3rd party entity) as part of the foundation’s administrative overhead. eBay deploys a similar working model. Our platform was developed with expansion in mind, ensuring opportunities for massive scale. With our high funnel conversion rates, we expect to scale revenue (and impact!) as we onboard partners with massive social media reach. 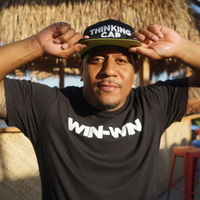 Win-Win aims to become THE go-to platform for any individual or entity with a fanbase or audience, seeking to raise funds for a cause or initiative. As partner expansion occurs, we will begin introducing new game formats more relevant to our new non-athlete partner types. Within charitable giving, our direct competitors offer a different format to potential donors and varying business models. HQ Trivia: their 12 minute real-time trivia game has attracted large brand deals. As Win-Win scales, we expect our games to garner strong brand interest because users are led by their favorite influencers and are more engaged, for longer. 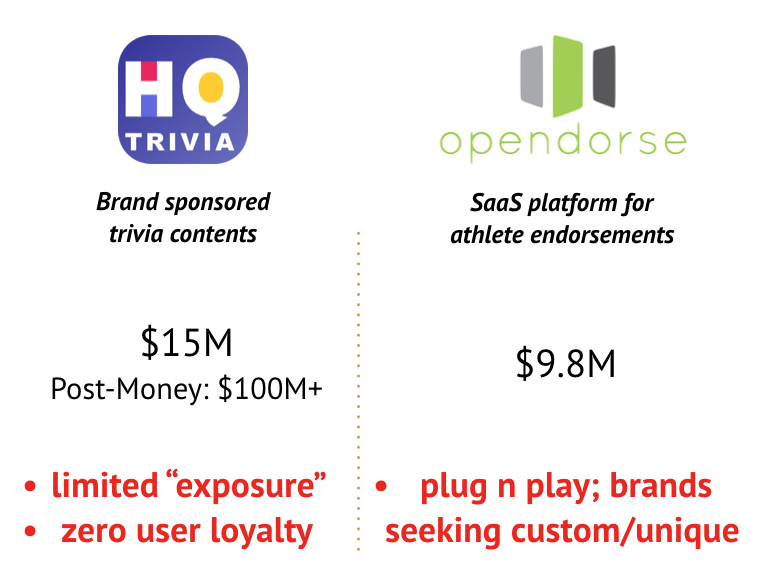 Opendorse: creates efficiency for brands seeking to leverage sports influencers for endorsements. With our highly customized integrations, offering brands a unique cross channel ecosystem of campaign assets including social and digital media, content, and activations, we expect to attract brands seeking stronger engagement. With validated product-market fit, we are now preparing to scale operations and marketing to drive hyper-growth! “Total Revenue” only consists of Win-Win’s portion of charitable proceeds and projected revenue from brand sponsorships. Total charitable dollars is not reflected. 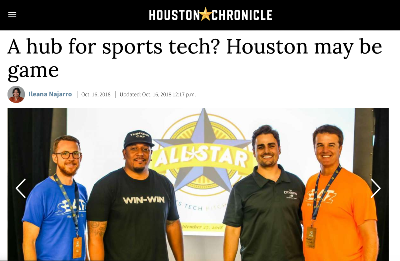 With established roots in Silicon Valley, Win-Win is relocating to the country’s new SportsTech hub! In March 2019, we finalized an exciting partnership deal with Cannon Ventures, which results in our relocation to Houston, TX in July 2019. Win-Win’s new home will be within the world’s largest tech co-working space in the world, a 120,000 square foot facility called The Cannon. The facility sits on a 32-acre entrepreneurial campus within Houston’s newly established “Founders District”. First, thank you for coming to take a look at our Republic campaign page and learning about Win-Win. I’m so excited to be offering an opportunity for you to join us on this journey! 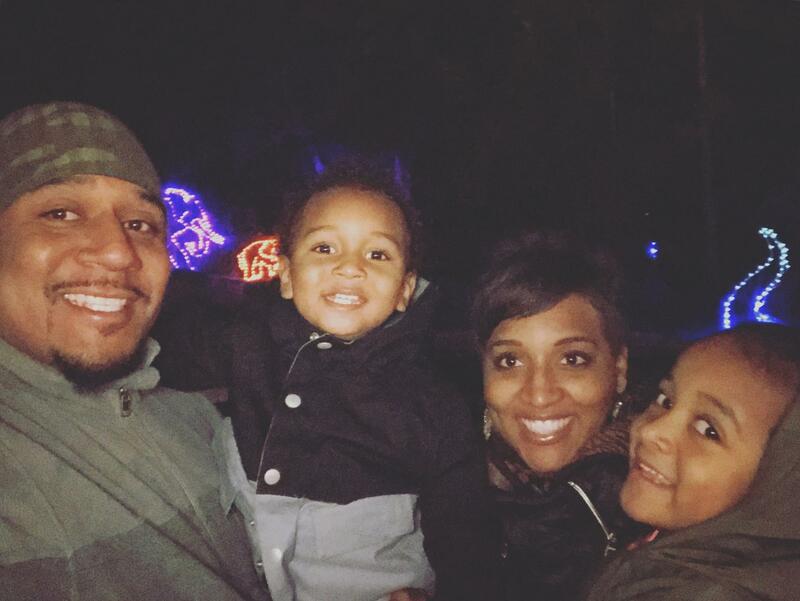 I’m the type of person who puts in the necessary work and goes to lengths most people wouldn’t dare, for the purpose of representing my family, accomplishing my goals, and inspiring others. My life experiences and, the accomplishments throughout, are a testament to my work ethic, and I pride myself on breaking down walls and overcoming adversity -- I’ve had to do it my entire life. This is why I’m so excited! I know the work that I’ve put in, the great work our growing team has put in, and the valuable time our investors and advisors have invested in us. The world is getting ready to see the fruits of that labor, and our continued labor, so I’d like to welcome you aboard before we take off! Your investment will help us be the future of fundraising! The smallest investment amount that Win-Win is accepting. Win-Win needs to reach their minimum funding goal before the deadline. If they don’t, all investments will be refunded. If a trigger event for Win-Win occurs, the discount provision gives investors equity shares (or equal value in cash) at a reduced price. Win-Win needs to raise $25K before the deadline. The maximum amount Win-Win is willing to raise is $1.07M. The Company is still in an early phase and is just beginning to implement its business plan. There can be no assurance that it will ever operate profitably. The likelihood of its success should be considered in light of the problems, expenses, difficulties, complications and delays usually encountered by companies in their early stages of development. The Company may not be successful in attaining the objectives necessary for it to overcome these risks and uncertainties. The Company may not have the internal control infrastructure that would meet the standards of a public company, including the requirements of the Sarbanes Oxley Act of 2002. As a privately-held (non-public) Company, the Company is currently not subject to the Sarbanes Oxley Act of 2002, and it's financial and disclosure controls and procedures reflect its status as a development stage, non-public company. There can be no guarantee that there are no significant deficiencies or material weaknesses in the quality of the Company's financial and disclosure controls and procedures. If it were necessary to implement such financial and disclosure controls and procedures, the cost to the Company of such compliance could be substantial and could have a material adverse effect on the Company's results of operations. Security breaches of confidential customer information, in connection with our electronic processing of credit and debit card transactions, or confidential employee information may adversely affect our business. Our business requires the collection, transmission and retention of large volumes of customer and employee data, including credit and debit card numbers and other personally identifiable information, in various information technology systems that we maintain and in those maintained by third parties with whom we contract to provide services. The integrity and protection of that customer and employee data is critical to us. The information, security and privacy requirements imposed by governmental regulation are increasingly demanding. Our systems may not be able to satisfy these changing requirements and customer and employee expectations, or may require significant additional investments or time in order to do so. A breach in the security of our information technology systems or those of our service providers could lead to an interruption in the operation of our systems, resulting in operational inefficiencies and a loss of profits. Additionally, a significant theft, loss or misappropriation of, or access to, customers’ or other proprietary data or other breach of our information technology systems could result in fines, legal claims or proceedings. The Company operates in a highly competitive market. The Company provides products in services that is full of competition from many other platforms and providers. Many of the Company’s competitors are better capitalized and/or have better brand establishment and recognition. Furthermore, charitable fundraising is a highly competitive area in which both large and small entities compete for a limited number of dollars. Even with the advantages of the Company’s product offering, those making charitable donations are generally only those who can afford to do so. Our business model is one of innovation, including continuously working to expand our product lines and services to our clients. It is unclear whether these services will be successful. Further, we continuously try to offer additional types of services, and we cannot offer any assurance that any of them will be successful. From time to time we may also modify aspects of our business model relating to our service offerings. We cannot offer any assurance that these or any other modifications will be successful or will not result in harm to the business. We may not be able to manage growth effectively, which could damage our reputation, limit our growth, and negatively affect our operating results. We are reliant on one main type of service. All of current services are variants on one type of service — providing a platform for charitable campaigns in a fun and competitive manner. Our revenues are therefore dependent upon successful campaigns. We depend on key personnel and face challenges recruiting needed personnel. Our future success depends on the efforts of a small number of key personnel, including our founder and Chief Executive Officer, Mike Brown, and our compliance, engineering and marketing teams. In addition, due to our limited financial resources and the specialized expertise required, we may not be able to recruit the individuals needed for our business needs. There can be no assurance that we will be successful in attracting and retaining the personnel we require to operate and be innovative. As an internet-based business, we may be vulnerable to hackers who may access the data of our investors and the issuer companies that utilize our platform. Further, any significant disruption in service on the Company’s platform or in its computer systems could reduce the attractiveness of the Company’s platform and result in a loss of investors and companies interested in using our platform. Further, we rely on a third-party technology provider to provide some of our back-up technology as well as act as our escrow agent. Any disruptions of services or cyber attacks either on our technology provider or on Company could harm our reputation and materially negatively impact our financial condition and business. Competition from other donation based charitable platforms may adversely affect our existing markets, as well as prevent us from expanding our markets. Our industry is highly competitive. We will compete with other companies not only for acceptance but also for charitable contributions. Our products and services will compete with a wide range of other platforms, most of which have substantially greater financial, marketing and distribution resources than ours. Increased competitor consolidations, market-place competition, particularly among branded platforms, and competitive product and pricing pressures could impact our earnings, market share and volume growth. If, due to such pressure or other competitive threats, we are unable to sufficiently maintain or develop our market position, we may be unable to achieve our current revenue and financial targets. We may not be successful in doing this and other companies may be more successful in this regard over the long term. Competition, particularly from companies with greater financial and marketing resources than ours, could have a material adverse effect on our ability to establish and expand the market for our products and services. The U.S. Securities and Exchange Commission does not pass upon the merits of any securities offered or the terms of the offering, nor does it pass upon the accuracy or completeness of any offering document or literature. You should not rely on the fact that our Form C is accessible through the U.S. Securities and Exchange Commission’s EDGAR filing system as an approval, endorsement or guarantee of compliance as it related to this Offering. The securities being offered have not been registered under the Securities Act of 1933 (the "Securities Act"), in reliance, among other exemptions, on the exemptive provisions of article 4(a)(2) of the Securities Act and Regulation D under the Securities Act. Similar reliance has been placed on apparently available exemptions from securities registration or qualification requirements under applicable state securities laws. No assurance can be given that any offering currently qualifies or will continue to qualify under one or more of such exemptive provisions due to, among other things, the adequacy of disclosure and the manner of distribution, the existence of similar offerings in the past or in the future, or a change of any securities law or regulation that has retroactive effect. If, and to the extent that, claims or suits for rescission are brought and successfully concluded for failure to register any offering or other offerings or for acts or omissions constituting offenses under the Securities Act, the Securities Exchange Act of 1934, or applicable state securities laws, the Company could be materially adversely affected, jeopardizing the Company's ability to operate successfully. Furthermore, the human and capital resources of the Company could be adversely affected by the need to defend actions under these laws, even if the Company is ultimately successful in its defense. Compliance with the criteria for securing exemptions under federal securities laws and the securities laws of the various states is extremely complex, especially in respect of those exemptions affording flexibility and the elimination of trading restrictions in respect of securities received in exempt transactions and subsequently disposed of without registration under the Securities Act or state securities laws. The Company's management may have broad discretion in how the Company uses the net proceeds of an offering. Unless the Company has agreed to a specific use of the proceeds from an offering, the Company's management will have considerable discretion over the use of proceeds from their offering. You may not have the opportunity, as part of your investment decision, to assess whether the proceeds are being used appropriately. The Company has the right to limit individual Purchasers commitment amount based on the Company’s determination of a Purchaser’s sophistication. The Company may prevent Purchasers from committing more than a certain amount to this Offering based on the Company’s belief of the Purchaser’s sophistication and ability to assume the risk of the investment. This means that your desired investment amount may be limited or lowered based solely on the Company’s determination and not in line with relevant investment limits set forth by the Regulation Crowdfunding rules. This also means that other Purchasers may receive larger allocations of the Offering based solely on the Company’s determination. The Company has the right to extend the Offering deadline. The Company has the right to end the Offering early. The Company may extend the Offering deadline beyond what is currently stated herein. This means that your investment may continue to be held in escrow while the Company attempts to raise the Minimum Amount even after the Offering deadline stated herein is reached. While you have the right to cancel your investment in the event the Company extends the Offering, if you choose to reconfirm your investment, your investment will not be accruing interest during this time and will simply be held until such time as the new Offering deadline is reached without the Company receiving the Minimum Amount, at which time it will be returned to you without interest or deduction, or the Company receives the Minimum Amount, at which time it will be released to the Company to be used as set forth herein. Upon or shortly after release of such funds to the Company, the Securities will be issued and distributed to you. The Company may also end the Offering early; if the Offering reaches its target Offering amount after 21-calendary days but before the deadline, the Company can end the Offering with 5 business day’s notice. This means your failure to participate in the Offering in a timely manner, may prevent you from being able to participate – it also means the Company may limit the amount of capital it can raise during the Offering by ending it early. The units of SAFE will not be freely tradable until one year from the initial purchase date. Although the units of SAFE may be tradable under federal securities law, state securities regulations may apply, and each Purchaser should consult with his or her attorney. You should be aware of the long-term nature of this investment. There is not now and likely will not be a public market for the units of SAFE. Because the units of SAFE have not been registered under the Securities Act or under the securities laws of any state or non-United States jurisdiction, the units of SAFE have transfer restrictions and cannot be resold in the United States except pursuant to Rule 501 of Regulation CF. It is not currently contemplated that registration under the Securities Act or other securities laws will be affected. Limitations on the transfer of the units of SAFE may also adversely affect the price that you might be able to obtain for the units of SAFE in a private sale. Purchasers should be aware of the long-term nature of their investment in the Company. Each Purchaser in this Offering will be required to represent that it is purchasing the Securities for its own account, for investment purposes and not with a view to resale or distribution thereof. Purchasers will not have an ownership claim to the Company or to any of its assets or revenues for an indefinite amount of time and depending on when and how the Securities are converted, the Purchasers may never become equity holders of the Company. Purchasers will not become equity holders of the Company unless the Company receives a future round of financing great enough to trigger a conversion and the Company elects to convert the Securities into CF Shadow Series Securities. The Company is under no obligation to convert the Securities into CF Shadow Securities (the type of equity Securities Purchasers are entitled to receive upon such conversion). In certain instances, such as a sale of the Company or substantially all of its assets, an IPO or a dissolution or bankruptcy, the Purchasers may only have a right to receive cash, to the extent available, rather than equity in the Company. Purchasers will not have voting rights, even upon conversion of the Securities into CF Shadow Securities; upon the conversion of the Crowd SAFE to CF Shadow Securities (which cannot be guaranteed), holders of Shadow Securities will be required to enter into a proxy with the intermediary to ensure any statutory voting rights are voted in tandem with the majority holders of whichever series of securities the Shadow Securities follow. Purchasers will not have the right to vote upon matters of the Company even if and when their Securities are converted into CF Shadow Securities (which the occurrence of cannot be guaranteed). Upon such conversion, CF Shadow Securities will have no voting rights and even in circumstances where a statutory right to vote is provided by state law, the CF Shadow Security holders are required to enter into a proxy agreement with the Intermediary ensuring they will vote with the majority of the security holders in the new round of equity financing upon which the Securities were converted. For example, if the Securities are converted upon a round offering Series B Preferred Shares, the Series B-CF Shadow Security holders will be required to enter into a proxy that allows the Intermediary to vote the same way as a majority of the Series B Preferred Shareholders vote. Thus, Purchasers will never be able to freely vote upon any manager or other matters of the Company. Purchasers will not have the right to inspect the books and records of the Company or to receive financial or other information from the Company, other than as required by Regulation CF. Other security holders of the Company may have such rights. Regulation CF requires only the provision of an annual report on Form C and no additional information – there are numerous methods by which the Company can terminate annual report obligations, resulting in no information rights, contractual, statutory or otherwise, owed to Purchasers. This lack of information could put Purchasers at a disadvantage in general and with respect to other security holders. Purchasers will be unable to declare the Security in "default" and demand repayment. Unlike convertible notes and some other securities, the Securities do not have any "default" provisions upon which the Purchasers will be able to demand repayment of their investment. The Company has ultimate discretion as to whether or not to convert the Securities upon a future equity financing and Purchasers have no right to demand such conversion. Only in limited circumstances, such as a liquidity event, may the Purchasers demand payment and even then, such payments will be limited to the amount of cash available to the Company. The Company may never receive a future equity financing or elect to convert the Securities upon such future financing. In addition, the Company may never undergo a liquidity event such as a sale of the Company or an IPO. If neither the conversion of the Securities nor a liquidity event occurs, the Purchasers could be left holding the Securities in perpetuity. The Securities have numerous transfer restrictions and will likely be highly illiquid, with no secondary market on which to sell them. The Securities are not equity interests, have no ownership rights, have no rights to the Company’s assets or profits and have no voting rights or ability to direct the Company or its actions. In addition to the risks listed above, businesses are often subject to risks not foreseen or fully appreciated by the management. It is not possible to foresee all risks that may affect us. Moreover, the Company cannot predict whether the Company will successfully effectuate the Company’s current business plan. Each prospective Purchaser is encouraged to carefully analyze the risks and merits of an investment in the Securities and should take into consideration when making such analysis, among other, the Risk Factors discussed above. Equity securities acquired upon conversion of SAFE securities may be significantly diluted as a consequence of subsequent financings. Company equity securities will be subject to dilution. Company intends to issue additional equity to employees and third-party financing sources in amounts that are uncertain at this time, and as a consequence holders of equity securities resulting from SAFE conversion will be subject to dilution in an unpredictable amount. Such dilution may reduce the purchaser’s control and economic interests in the Company. The amount of additional financing needed by Company will depend upon several contingencies not foreseen at the time of this offering. Each such round of financing (whether from the Company or other investors) is typically intended to provide the Company with enough capital to reach the next major corporate milestone. If the funds are not sufficient, Company may have to raise additional capital at a price unfavorable to the existing investors, including the purchaser. The availability of capital is at least partially a function of capital market conditions that are beyond the control of the Company. There can be no assurance that the Company will be able to predict accurately the future capital requirements necessary for success or that additional funds will be available from any source. Failure to obtain such financing on favorable terms could dilute or otherwise severely impair the value of the purchaser’s Company securities. Equity securities issued upon conversion of company SAFE securities may be substantially different from other equity securities offered or issued at the time of conversion. Company may issue to converting SAFE holders equity securities that are materially distinct from equity securities it will issue to new purchasers of equity securities. This paragraph does not purport to be a complete summary of all such distinctions. Equity securities issued to SAFE purchasers upon their conversion of Company SAFE securities will be distinct from the equity securities issued to new purchasers in at least the following respects: to the extent such equity securities bear any liquidation preferences, dividend rights, or anti-dilution protections, any equity securities issued at the Conversion Price (as provided in the SAFE Agreements) shall bear such preferences, rights, and protections only in proportion to the Conversion Price and not in proportion to the price per share paid by new investors in the equity securities. Company may not provide converting SAFE purchasers the same rights, preferences, protections, and other benefits or privileges provided to other purchasers of Company equity securities. There is no present market for the Securities and we have arbitrarily set the price. In a dissolution or bankruptcy of the Company, Purchasers will not be treated as priority debt holders and therefore are unlikely to recover any assets in the event of a bankruptcy or dissolution event. In a dissolution or bankruptcy of the Company, Purchasers of Securities which have not been converted will be entitled to distributions as described in the Crowd SAFE. This means that such Purchasers will be at the lowest level of priority and will only receive distributions once all creditors as well as holders of more senior securities, including any preferred stock holders, have been paid in full. If the Securities have been converted into CF Shadow Share Securities or SAFE Preferred Securities, the Purchasers will have the same rights and preferences (other than the ability to vote) as the holders of the Securities issued in the equity financing upon which the Securities were converted. Neither holders of Crowd SAFE nor holders of CF Shadow Share Securities nor SAFE Preferred Securities can be guaranteed a return in the event of a dissolution event or bankruptcy. While the Crowd SAFE provides for mechanisms whereby a Crowd SAFE holder would be entitled to a return of their purchase amount, if the Company does not have sufficient cash on hand, this obligation may not be fulfilled. In certain events provided in the Crowd SAFE, holders of the Crowd SAFE may be entitled to a return of their principal amount. Despite the contractual provisions in the Crowd SAFE, this right cannot be guaranteed if the Company does not have sufficient liquid assets on hand. Therefore, potential purchasers should not assume that they are guaranteed a return of their investment amount. We have an evolving business model. We may be vulnerable to hackers and cyber attacks. Lack of capital-dependence upon offering proceeds. I invested because I believe that professional sports could be a great market for charitable giving. I invested because I believe that Win -Win is a great way to raise money for charity. It’s amazing to see a company based on giving! I believe in the vision. I like games. And I like giving. What more is there to say? Really think its a great company with a great idea. This seems like a really good cause. Truly sounds like a "Win- Win" for everyone.